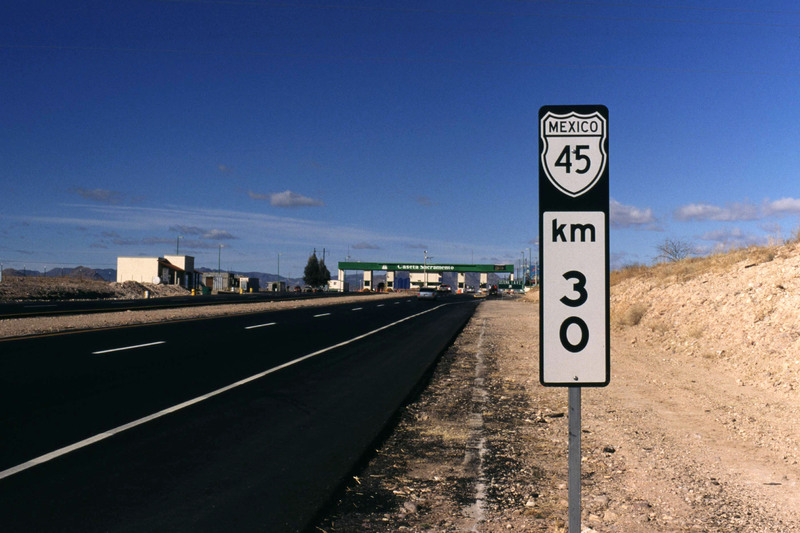 Milepost on tolled part of Mex. 45D near Sacramento. Photo by J. N. Winkler, 12/2001.